Healthcare Career Resources is a blog for those who work in the healthcare industry. We cover topics ranging from current events to medical humor as well as more career focused topics such as job search and interview tips. We also publish articles written for healthcare human resources and physician recruiters. 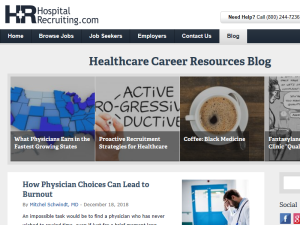 This what your Healthcare Career Resources Blog Ad will look like to visitors! Of course you will want to use keywords and ad targeting to get the most out of your ad campaign! So purchase an ad space today before there all gone! A new year brings new budgets and new challenges. For recruitment, market conditions may make maintaining headcount and expanding staffing numbers even more difficult. As healthcare facilities look to the coming hiring cycles, resolve to make some adjustments in the way you recruit to optimize your time and efforts. Attracting talent to your institution has never been more difficult. With skills and talent gaps across the healthcare industry, recruiters are challenged to tap into the best and the brightest. A poor candidate experience could be deterring top job seekers. Resolve to walk through your application process to assure every step is easy, welcoming, and promotes your facility. Are existing job requirements netting results? Credentials may be non-negotiable, but are you asking for a level of experience that may be too high in today’s market? Three to five years’ experience may be your standard job description line item, but could one to three suffice? Work with your management team to make sure all the requirements you list are absolutely necessary, or consider if they’re simply reducing the candidate pool. Along with a strong, positive candidate experience, your recruitment brand speaks volumes about what it’s like to work for your institution. Boosting your employer brand may be a function of the marketing department, but tap into their expertise for help boosting your recruitment brand, as well. A good candidate experience helps, but you’ll want to go beyond making sure the application process is seamless. Work with your marketing team to find opportunities to highlight events, awards, employees, and achievements as publicly as possible. A negative Internet presence is almost certainly costing you candidates. Verify that any online reviews of your facility are positive, and if not, work directly through the platform to try to resolve them. Reach out to negative reviewers, and offer an opportunity to correct whatever problem they encountered. Once resolved, ask them to remove the poor review. If you’re not using platforms to prescreen talent, you’re wasting time combing through resumes to find the qualifications you need. There’s even more recruitment tech available to streamline processes and free up recruiters for more important tasks. Chatbots can answer recruitment FAQs, prescreen preliminary questions, and refer job seekers to the appropriate means to apply. Tired of playing phone tag with applicants and managers to set up interviews? Scheduling tech takes that task off your desk. Outsource background checks and credentialing verification, as well. Leveraging tech can free you to work more closely with job seekers, boosting the candidate experience. In a competitive market, time to hire could be the difference between wasting valuable time screening and interviewing candidates that someone else snatches up or putting them on your payroll. Evaluate how long it takes from the first ad placement to the first day on the job to make sure your time to hire is as efficient and fast as possible. With so many jobs and so few job seekers, keeping an open line of communication with every promising candidate is mission-critical. Healthcare facilities, like most industries, are experiencing a new phenomenon: candidate ghosting. Applicants that no-show for interviews, do not respond to messages, miss their first day on the job, or vanish after they start are becoming more common. One remedy may be continuous communication. Informing a candidate of your hiring timeline and keeping to it is critical. But even if there’s no news, take a few minutes to call, check in, and let the applicants know they’re still in contention and you’re rooting for them. Any relationship you build with job seekers may tip the scales in your favor when they’re juggling multiple offers. Your last opening netted several qualified candidates, but only one was selected. For your next opening, these job seekers should be at the top of the list to call. Don’t let the fact that they accepted another offer deter you; some estimates put up to one-third of new hires quitting their job within the first 90 days. If you’ve lost good candidates to another institution, there may be a chance they’re not happy with their choice and are willing to jump ship. Past applicants who weren’t among those scheduled for an interview may have been close behind those who were. They should also be top of the pile when selecting. Some job seekers may have applied for an opening you don’t think they’re suitable for, but they could be a good fit for something else. In challenging markets, repurposing candidates can be a gold mine of talent. In a time from my “previous” life, which I’ll call “Point A,” I had labels which defined me. Psychiatric nursing professor, clinical nurse specialist, and wannabe writer. In this new life, henceforth to be known as “Point B,” I’ve given myself a whole set of new labels. Just call me a digital nomad, location independent, tele-mental health therapist, and now, published author, too! How did I move myself and my professional career from “Point A” to “Point B?” What did I have to do and why did I do it? As a full-time professor in a for-profit two-year nursing program, the salary, hours, and working conditions were abysmal. I was tired and miserable and, frankly, tired of being miserable. Something “had to give.” While teaching, I stopped doing psychotherapy and let my private practice “fizzle out.” My exhaustion and misery left me with no desire or energy to see patients at the end of a twelve-hour day or on weekends. My scarce and precious discretionary time was used to do catch up on sleep or doing the laundry. Three years later, I sit in an outdoor cafe in Guanajuato, Mexico. It’s still winter “up north,” where here, it’s 86 warm, lovely degrees. After a nice dinner with some new friends from my Spanish class, I’ll go back to where I am house and pet sitting for the next two months. Tomorrow morning, I’ll turn on my laptop and work for a few hours doing psychotherapy with some of my already established American patients. They reside in one of the 30 states in which I can legally practice nursing, thanks to the enhanced nurse licensure compact (eNLC). How is this all possible, with them there, and me here, south of the border? It started with a dream that I brought to fruition, to work on my own terms. I wanted control over my work life. This included no longer having a boss or a time clock to punch, as I did when I taught. With help from technology and the Internet, I was able to liberate myself from a “bricks and mortar” office and traditional 9 – 5 hours. I knew that my “Ivy League” nursing education, board certification as a psychiatric clinical nurse specialist, and skills as a therapist would not fail me. I just needed to figure out how to parlay these into gainful employment and an improved lifestyle. Not so easy! Doing psychotherapy over the Internet was still in its infancy and not widely accepted by either professionals or patients. Although I was a master’s prepared advanced practice nurse, I had chosen to not pursue nurse practitioner status. As a result, I do not have prescriptive authority, and without it, I am less marketable. Hence, my scope of practice is limited. However, to me, it’s an advantage. I do what I love, which is psychotherapy. It eliminates more potential liability for malpractice. It also made no sense to me to incur student loans at this point in my life! As an “early adopter” of doing counseling remotely, I sensed the power and potential of the Internet. I saw how it could reach those who might not otherwise engage in face-to-face psychotherapy. This, and my years of facilitating online “support groups,” helped propel me to my “Point B.” So did many other factors. The last time I had taken a “time out” from nursing, I invested $1200 and six weeks of my life to become certified as a teacher of English as a Second Language. That was truly an inexpensive, fast, and easy way to try something different, and maybe, even change careers altogether. I knew I would have to do something in order to finance my burgeoning travel “habit,” as psychiatric nursing would not be easy to do in most other places in the world. I got my first English teaching job in Kagoshima, Japan, and was there for 14 months. I taught children from ages two to sixteen and got to practice my singing, dancing, jumping, and running skills on a daily basis. On returning to the U.S., I did not want to do traditional psychiatric nursing for many reasons. One – time was passing by too quickly, and at my age I just didn’t want to do it anymore. Two – I was afraid to return to inpatient psychiatry. I feared being injured, with patient acuity on the rise and safe staffing on the decline. I doubted that my “aging body” could handle 12 hour or rotating shifts. Third – returning to school for a nurse practitioner certificate and a DNP degree (to become a doctor of nursing) seemed completely antithetical to the vagabond lifestyle I wanted and had begun to build. What I wanted to do in my “heart of hearts” was to travel as much and as far away as I could, for as long as possible. Since I wasn’t ready (nor able) to completely retire yet, I had to find an alternative way to support myself. It came down to intense reflection and asking myself what I really wanted from life. 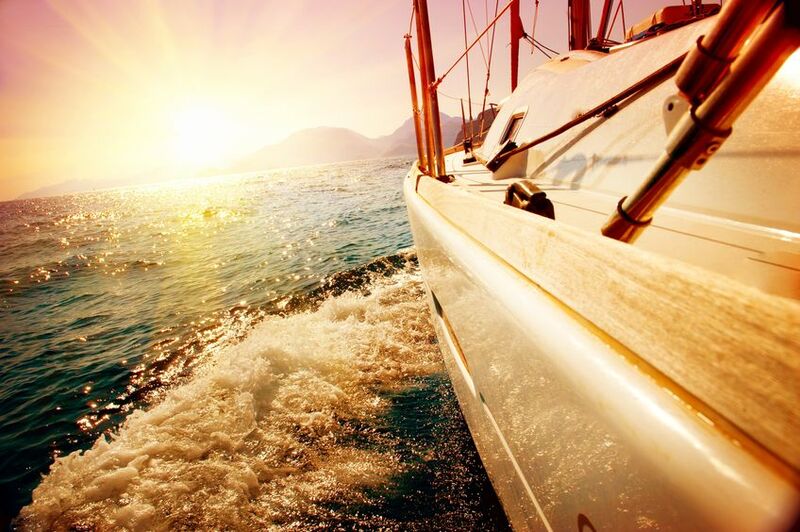 It was more than just sailing off into the sunset. A complete self-inventory was necessary. For example, where do you see yourself and your life in one year? In five years? When you retire? List your skills, work-related and not. What can you do with them? Be creative! Is going back to school or changing careers a realistic option? Do you want to work in your pajamas? Write the Great American Novel? Tutor English online to Chinese children? Do you enjoy computing? Maybe telemedicine would work. As long as you believe in endless possibilities, breaking free from whatever is holding you down or making you unhappy does not need to remain a fantasy. You, too, can get from “Point A” to “Point B.” With some help from a not-so-small and very unexpected gift from the universe…I was able to do this. I will tell you more about it next month. Is your bonus skimming off of other incentives? Sign-on bonuses are standard practice but vary widely around the country. The average is around $20,000, but almost five percent of physicians receive more than $100,000. While this is a considerable incentive, it is vital that you look at the entire compensation package and don’t get blindsided by a hefty bonus. 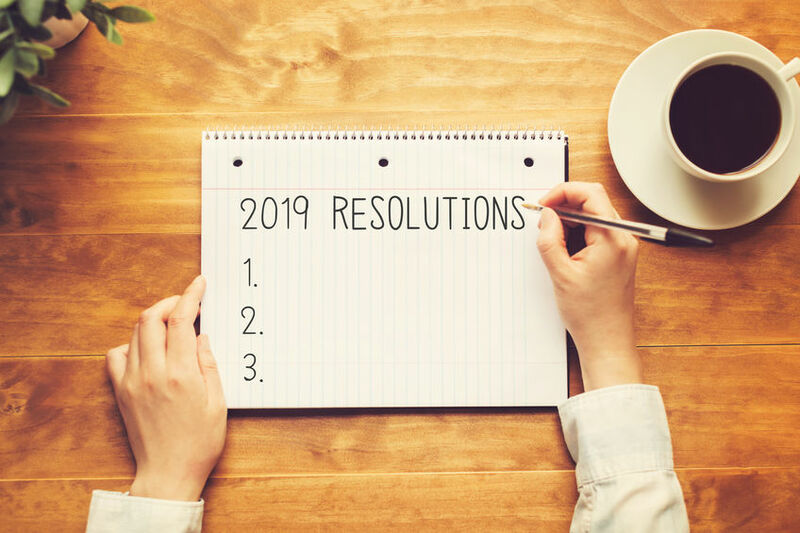 Double and triple check that your new job comes with standard benefits like a 401(k), profit sharing plan, disability and health insurance, CME allowances as well as a track to partnership for group practices. If the job does not provide these incentives, you’ll be spending a sizeable portion of your bonus— and more— on them in the long run. You’ll also want to make sure that your actual compensation is on par with Dr. Jones’ across town. To do this, look up reliable local and national compensation surveys in your specialty. Are the trade-offs worth it? Relocation— moving your family across the country is challenging. Also, think about activities available during your downtime as well as factors like your children’s education and job opportunities for your spouse. Lack of access— to medical technologies and resources that will impact care. For example, in my surgical specialty, access to a Da Vinci robot to perform robotic surgery is a crucial factor in choosing a position. If you are away from the technology, you risk losing your skills. Autonomy—will you be part of a managed care system in which your care of patients will be standardized and evaluated based on specific metrics? While studies show the benefits of standardized and evidence-based medicine, you will want to know if there is any space for innovation in your practice, or if your employer will penalize you in the quest to meet predetermined metrics. Work culture— before you sign on the dotted line, make sure to talk frankly with several of the physicians you will be calling colleagues— and if possible, physicians who have left the practice. Workplace politics are universal, so you will want to make sure that there won’t be any surprises waiting for you on the first day. Is your bonus tied to unrealistic production expectations? 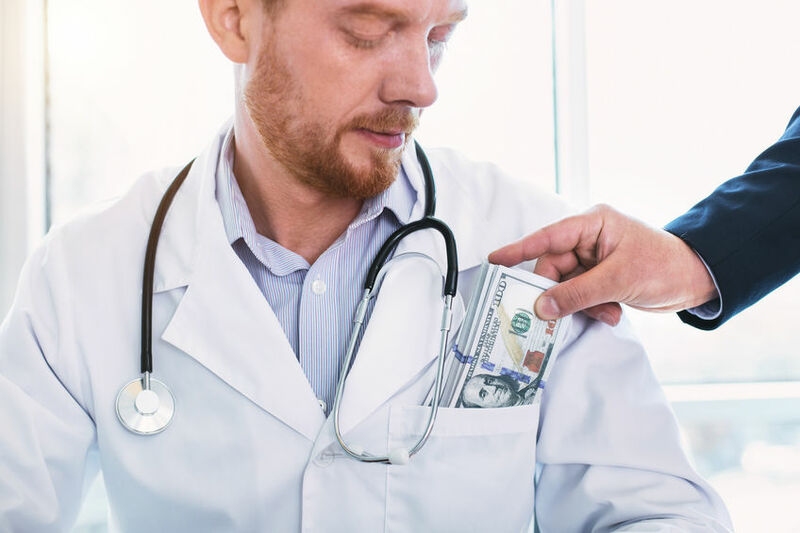 While some physicians are salaried (most commonly in academic settings or large hospitals), compensation is often tied to your work output, especially after the first year or two on the job. Generally, your group will focus on productivity, quality and patient satisfaction. One of the most common metrics is the relative value units (RVU), which determines compensation based on the amount of work required to care for a patient. However, other models are coming to the forefront as health care costs continue to skyrocket and employers look to cut costs. Regardless of the metric, you’ll need to be diligent with your time, documentation, and provide quality patient care. It’s a good idea to get details regarding the evaluation process, and if you will lose that bonus if your work doesn’t live up to your employer’s expectations. Some jobs will reduce your pay after one or two years (sometimes by the amount of bonus you initially received) to make up for perceived shortcomings. Talk to previous and current employees— if the physicians that came before you couldn’t manage the 40+ daily patients that comes with the job, chances are you will struggle as well. This competitive, productivity compensation package can fuel conflict between physician colleagues as they strive for more patients, procedures, and revenue. As I found out a little too late, the collections are generally less than the billings, and this can translate into a sizable difference in earning potential. Moral of the story: do your research before accepting the job. Does it replace a better offer for a fast track to partnership? If you are joining a group with the option for buy-in, you may be better served by a fast track to partnership than a high initial bonus. An entrepreneurial spirit will see your income rise more over the long term as partners generally make more than employees. For example, partners often receive a more significant percentage of revenue from the group’s ancillary services. If those services include an ambulatory surgical center or radiological equipment, this can add up quickly. If your sign-on bonus comes with no option for partnership, reconsider if it is truly worth it. Remember, bonuses are not free money. They usually come with a guarantee that you will remain loyal to your employer for at least a couple of years. If you leave early, you may need to repay all or more of the bonus. Be aware of this associated commitment if it is a determining factor in accepting the job. Twenty-five percent of physicians quit their position in the first three years, so paying back a bonus can become a reality. Take a deep breath, pick your jaw off the floor, and thoroughly consider the pros and cons of the offered bonus. You’ll be glad you took the time to determine if it is just too good to be true. From Robotic Surgical Equipment and Artificial Intelligence (AI), to telemedicine, mobile health apps, and electronic health records, it is impossible to ignore the significant impact technology has had on medicine and patient care over the past decade. Technology has revolutionized the industry, and it has reshaped the way patients search for their healthcare information. In fact, nearly 80 percent of Internet users (93 million Americans) have searched for a health-related topic online. 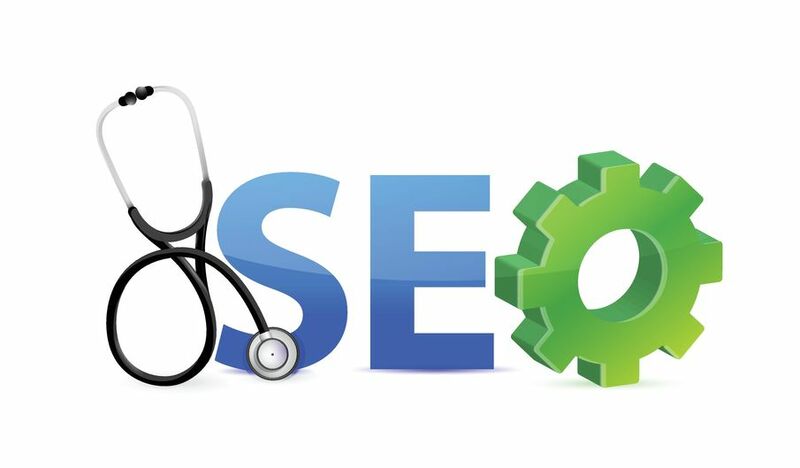 In addition, a study by Google found that 77% of patients used an online search before booking an appointment, and 44% of patients who research hospitals on a mobile device scheduled an appointment. Build an online profile- If you do not have a website yet, it is time to get one. Practices need an online presence to communicate information to current and potential patients. Even busy medical practices, should have a well designed website to help provide practical information such as location and office hours to patients. It can be an efficient tool that allows patients to download forms, get directions, request appointments, and prescription refills. It can also help to reduce the influx of phone calls, allowing staff to focus on other tasks. Get Listed– If you are not already listed with the most common online marketplaces, ensure your practice address and contact information are up to date with Google My Business, ZocDoc, Bing, Yelp, Whitepages, Vitals, Healthlinks, etc. According to Google, local searches bring 50% of mobile visitors to visit stores within one day. Utilize Video Content– Video content is an essential tool that anyone can use to make his/her practice stand out. It can be shared easily by patients, and it delivers a human element more effectively than photos or text content. Hospitals and medical practices should consider utilizing video content for physician interviews, patient stories, and introductions to a practice. HubSpot found that 54% of customers prefer to see videos over other marketing tactics from the brands they support. In addition, the statistics show that YouTube traffic to hospital sites has increased 119% year-over-year. Create a professional profile page on social media– A professional social media page provides a medical practice with an ideal platform to stay in contact with current and potential patients by posting medical tips, blogs, important services, patient stories, and other noteworthy practice information. According to a recent PwC Health Research Institute survey, one-third of U.S. consumers are using YouTube, Facebook and Twitter to find medical information, research and share symptoms, and offer opinions about doctors, treatments, drugs, and health plans. Start a blog or email newsletter– According to HubSpot, companies that blog experience 55 percent more traffic on their website, and businesses that make blogging a priority are 13 times more likely to see ROI gains year over year. A regular practice blog will not only help drive more traffic to a practice website, it is also a very effective way to keep web content fresh while including valuable keywords and improving google rankings if implemented effectively. Topics can include anything from procedures, preventative health tips, and patient stories. Also, consider utilizing whitepapers, studies, articles, photos, and slide presentations. Utilize an email service provider like Constant Contact or iContact to create a monthly practice newsletter. It can be a valuable resource for current patients, in addition to a great way to recommend the practice to family and friends. We are not trying to hurt you. We are all playing the same game, and the outcome is singular – for the patient to win. The clip of medical research makes it impossible for any one doctor to keep pace with the volume of data. EM physicians are experts at managing life-threatening illness and a multitude of diseases. We know several steps beyond the initial treatment and often find ourselves managing patients that would be better served upstairs or in the ICU. 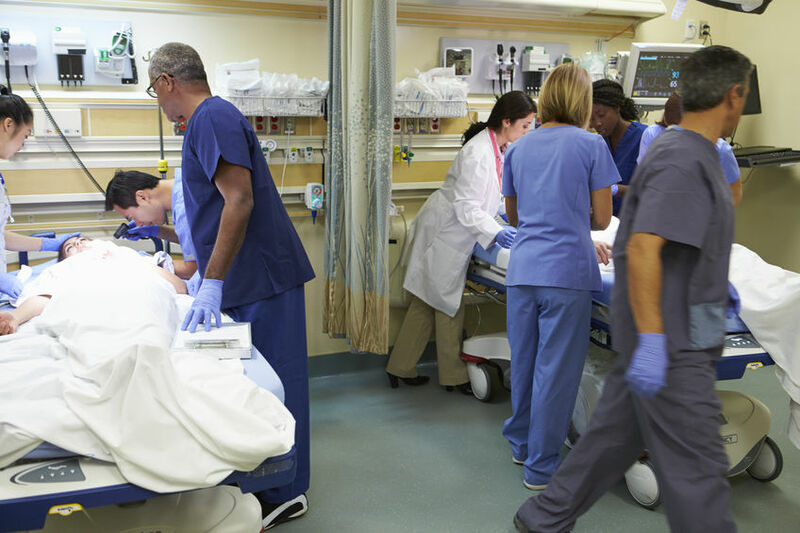 The nature of the patient flow, hospital overcrowding, and the growing crush of increasing patient volumes create boarding situations in the ED. We are doing the best we can with the resources we have at hand. The ER team is focused on providing the best care they can with the tools and staff available. This includes acting on past experience to keep patients alive. While this may not always be cutting edge or rely on the latest information from a leading journal, those who work in emergency medicine pride themselves on flexibility and adaptability. We do the absolute best we can, with what we have, given the limited information and time available. Please resist the temptation to criticize. We are open to constructive, learning-based criticism and eagerly want to learn from you. Most would love to hear the latest, best evidence gleaned from an IM or Critical Care conference. Practicing medicine is complex and patient care increasingly more complicated. The bottom line is that we appreciate your knowledge and skill. Thinking back, several interactions still cause a bristle. Missing a minuscule piece of data buried in volume 3 of 7 for a 103-year-old nursing home patient is not surprising. It wasn’t intentional. When the house is burning down, there’s only enough time to save one life and get out. As the EM physician begins to sift through the chart, a seizing patient arrives shortly followed by an overdose. Both need immediate attention and playing with the chart takes a temporary back seat. Emergency medicine requires quick thinking and acting on incomplete information. Pointing out that patient X had an adverse reaction to prednisolone 68 years ago, even though it was not noted in any allergy list (including the one generated on the last week’s office visit) and then pointing the finger at the ED physician for the patient’s agitation after receiving solumedrol for an allergic reaction that prompted the ER visit in the first place is not fair or helpful. EM is like practicing in a fishbowl. We swim around frantically while others look down on us, analyzing our decisions. EM docs do their very best for every patient, but don’t chastise us for not finding every detail. Time is an absent luxury. Knowing that a hospitalist has taken fifteen admissions already will not sway the decision to admit the next patient. We see the challenge of managing an unstoppable flow of patients every day. The voice on the other end of the phone is merely trying to provide proper care and not add an extra burden to the life of a hospitalist or admitting physician. We hear your complaints and understand, but please understand we are not trying to hurt you. Let’s agree to work together and move the process along. The patient will be much more comfortable in an inpatient bed rather than lying on a cot in the ER hallway for another six hours. Working as a locums physician provides a glimpse into numerous health systems. Many have solved the turf battles long ago, but relationships are dynamic and pausing to remember the ultimate outcome – excellent patient care – is paramount. We are all part of the same team. Let’s partner and execute at the highest level possible. As medicine expands exponentially, our ability to collaborate as one will help usher in a new approach to making illness optional. If you are the owner of Healthcare Career Resources, or someone who enjoys this blog why not upgrade it to a Featured Listing or Permanent Listing?